Between A to G and Q to Z, the all important middle section of what we offer. HUBBOX – Burgers, dogs and beers. The finest in Bristol and launched by the PamLloyd team in July 2017. Influencers – Influencers is a word you may hear a lot. They are people who are seen to have influence because (often) they have lots of social media followers who may copy their behaviour; what they wear, cosmetics they use, what they eat and so on. These influencers can be paid to use your product. They may or may not do this with conviction or with your brand at the forefront of their minds. It pays to be careful who you decide to work with. We can help you work with the right influencers. Instagram – We love instagram. It’s one of the way we share stories about the things we’re doing for our clients. We also use it to share our love of food and drink both at PamLloyd PR and on some of our clients’ accounts. It is not suitable for every business. We can discuss whether it’s suitable for yours. Issues management – Issues management is the process of identifying and then managing potentially difficult issues for your business or brand. The process can help you to plan for issues and reduce the risk of them becoming a reputational crisis that could do real damage to your brand. In some cases it is possible to anticipate the risks and turn them to your advantage. We can work with you to devise an issues management plan. Isle of Wight Tomatoes – More varieties of tomato than you are ever likely to see any where else. The Tomato Stall grows or trials hundreds of tasty varieties that are used by chefs up and down the UK. Our job is to get more to use them. Journalists – We specialise in food and drink so we know the right people to get in touch with about your product. We have our own bespoke database of contacts to use on your behalf. Kantar data – Kantar Worldpanel sells shopper behaviour data that comes from its consumer panel of 30,000 households, claimed to be the largest single source of continuous consumer and shopper insights. If you have data to share or if you want to buy data from Kantar, Neilsen, Dunnhumby, IRG or any of the other shopping data suppliers we have plenty of experience to support you in making the right decisions. Launching – Launching is fun. Whether it’s launching a product as we have done with PWR+ Juice, Godminster Brie, Sweet Potato Spirits; a brand like BerryWorld, Flower Sprouts, Jazzy potatoes, fresh wasabi; or restaurants and bars; Bomboloni, Hubbox, Swoon and Eatchu. Let’s launch! (Sorry). LinkedIn – A vital tool in business to business networking? Or an exercise in personal vanity to get one up on your peers? if you’re unsure about whether it’s for you, we can help you reach a decision. Leafy Salads – We run the PR and marketing campaign to promote Leafy Salads on behalf of the British Leafy Salad Growers Association. You can see our work at http://www.makemoreofsalad.com. It includes all the recipe content, grower information and schools education material as well as the website itself. Media Relations – This is the PR’s bread and butter. Media relations can cover many different activities but at its simplest it is us, developing relationships with and using our media contacts, in print, online, in broadcast and amongst the blogging community to tell your product story. The outputs (intermediate results) are coverage or social comment leading to outcomes (the objectives) which are consumer, trade or media attitude or behaviour change. These outcomes may produce sales uplift, product recommendation or advocacy. Measurement – Measurement of our work can take many forms. We like to have agreed measurement criteria for two reasons. We (that’s you and us) can make informed decisions about the direction of your campaign if we have measures in place to assess the effectiveness of our work. It makes it easier for us to make a robust case to continue with your campaign if we can demonstrate its success. It makes your job easier if the campaign has been measured and the budget holders can see it has been a success. This quote is taken from Marketing Week here and there is more here. M’Hencha – Fabulous Moroccan pastries made in the Cotswolds and sold online. Our work for this client has been very satisfying. Coverage in magazine and national news media Christmas lists has appeared as referrer links in the client’s Google analytics and connected directly to sales. We’ve also eaten quite a few. Ok, more than a few. New Product Development (NPD) Support – We have used PR for different clients to promote new products, product and service innovation. From new flavours of PWR+ to infused beetroot, Robinsons Fruit Shoot squeezy jam to Godminster brie, Olives by post to new restaurant concept. We will use this experience to support your NPD efforts. Organics – We have experience promoting organic producers and their products. We have worked with the Soil Association to promote their awards; with one of the country’s largest organic vegetable growers Pollybell Organic; with Godminster, the award winning organic Somerset cheesemaker; and we have also launched O’live, the organic produce brand available in Wholefoods, Planet Organic and Ocado. Outcome – In PR measurement an outcome is either aligned with or equal to the initial objective. Outcomes are changes in behaviour, attitude, action. They are distinct from outputs below. Output – These are the products of a campaign. The material produced for campaigns we run might include the following: Grower stories; product information; recipes; photographs (product, recipe, field, grower); video; printed material; website; coverage in the media. You may see coverage presented as the outcome of a campaign. It is not. Unless the coverage results in attitude or behaviour change it’s just words on a page. Olives – Olives by Post – does what it says on the tin. Our job? To secure coverage in food and lifestyle media that encourages people to sign up for regular deliveries. Packaging – We work with designers to create trade and consumer packaging. Our team has art directed photographers to shoot images for use on packaging. Our packaging work includes Jazzy potatoes (trade and consumer), Perfect With for Waitrose (photography for consumer packs) RG Abreys (trade boxes). Pink Lady apples, Fresh and Naked and O’live. PESO – This stands for PAID, EARNED, SHARED, OWNED. It is a simple categorisation used by PR businesses to differentiate types of media. Paid media is advertising, advertorials and sponsored content. Earned media is coverage that has been secured by PR as opposed to paid for. Shared media is brand and user generated content and comment that is shared by the brand and its publics across all media. Owned media denotes brand or product property and includes website, social channels’ home feeds, packaging and other material over which the brand has complete control. PGI – This stands for Protected Geographical Indication. It is a designation from the European Union that gives a product protected status based on its production or growing location. PamLloyd PR worked with our client to secure and promote PGI status for Fenland celery, the first English vegetable to be protected. Photography – We do product, pack and recipe photography in house and use professional photographers to create media content for campaigns. Over the past 12 years we have produced thousands of images for use in print and online. From smart phone photography and digital SLR photos to high resolution images for posters, we know the right people to use on your behalf. Pinterest – Pinterest is not a social network. Pinterest is an evergreen pin board where you collate ideas and inspiration, perhaps for a project. The content you post is evergreen because it doesn’t matter when you post it, it remains relevant to the searches people conduct. In fact, unlike some of the social platforms, Pinterest users become more active over time rather than less active. Pinterest is particularly useful for website attribution. A post from a website retains the relationship to the original site and as a result, Pinterest can be a very strong source of website referrals. Planning – We love a good plan. We can and frequently do have to work without one. Having one does make everyone’s life easier and expectations clearer. Press release – We do write press releases. Not as many as we used to but trade and local media in particular still use the information. Writing a good release is a skill. You need a good headline. One that draws the reader in. You want them to read it after all. Then you need to tell them the key information in the first couple of lines. Answer the questions Who? What? When? Where? And make it clear why/how it is important. Or we can do it for you. Press trips – These can be a useful way to have journalists and bloggers engage with your product story. You need to have a good story to tell and you need the right people to come to hear it. Press trips are hard work and need plenty of preparation, especially if they’ve are outdoors. We can advise you on what works and what doesn’t. Product drops – A very useful way to get your product into the hands of journalists. Bear in mind, it’s not just a matter of throwing free stuff in their direction and hoping they’ll talk about it. Journalists and bloggers get a lot of product. You need to ensure that they will receive it in the first place and then write about it. We know the interested journalists and how to approach them. Product launches – see launching above. The CIPR website states – Every organisation, no matter how large or small, ultimately depends on its reputation for survival and success. In today’s competitive market, reputation can be a company’s biggest asset – the thing that makes you stand out from the crowd and gives you a competitive edge. Effective PR can help manage reputation by communicating and building good relationships with all organisation stakeholders. It’s probably safe to say that the same if true of PR agencies or any other business in a highly competitive market sector. We all have the same or very similar tools at our disposal. We want our service to have a unique proposition with a personality that defines who we are and what we do.  So if you are looking for a food and drink PR agency, why choose PamLloyd PR? We are food and drink PR specialists. We believe in changing people’s attitude and behaviours to benefit your business product or service. How do we do this? We share stories about products and services that engage people. To do this we use different marketing and PR tools and channels.